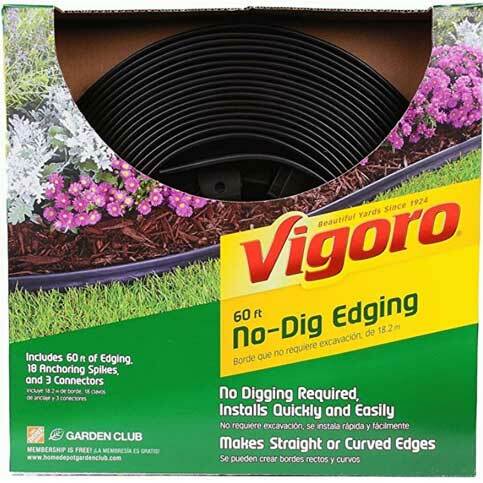 People are amazed to find how simple it is to create a no-dig edging around your flower beds. In fact, this in an incredibly easy DIY project that only requires four materials and a little bit of work. 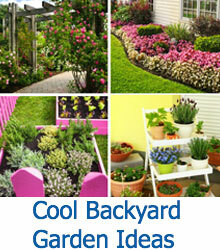 In no time, one will have beautiful garden edging and a breathtaking yard. 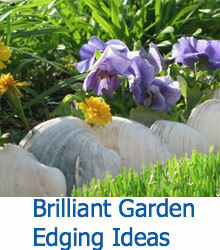 Garden lovers are amazed on how easy it is to create no dig edging around their gardens. Check out this Easy Dot it yourself project. This project is meant for areas outside your home that border your grass (you can protrude into the grass a bit if you’d like, though). Beautify your home and enjoy fragrant flowers or herbs by using these simple steps below. All of these items can be purchased at your local hardware store or gardening store. The amount of supplies will depend on the amount of space that you are looking to cover. All of these items can be purchased on Amazon. The amount of supplies will depend on the amount of space that you are looking to cover. You need to put your plastic border in place. Pick the location very carefully. You will be securing the border with spikes, and it’s not always easy to move the border after it’s in place. Use metal spikes to keep the plastic border in place. For a standard plastic border, you will put a spike in every third loop (leaving two loops in between every spike). Use a hammer to secure the spikes and keep the plastic border in place. Be sure to use proper safety precautions when using a hammer. You need the concrete to secure the landscaping blocks that you bought for this project. 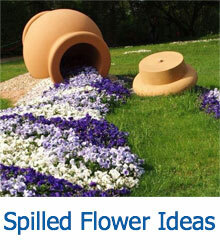 Pour a generous amount of concrete mix at the edge of the plastic border. The concrete must be condensed after it is poured. Use your hands to make the concrete firm. Do this the entire length of the concrete that you poured. Now, you need the concrete to be even. Use a wooden board or a shovel to level the concrete. You can determine how far out the concrete should go by using one of the landscaping blocks as a guide. Now that the concrete is level, it’s time to place the blocks where you’d like them to go. At this point, you should know how many blocks that you will need and how to space them. Place the blocks as quickly as possible once you put the concrete down. Once the blocks are placed and everything looks good, you’ll want to press down on the landscaping blocks to ensure that they are secure in the concrete. Using your hands will be enough pressure. To set the concrete, spray the concrete and landscaping blocks with water. You don’t need to completely drowned the area in water, but you should ensure that everything is thoroughly wet down. This will allow the concrete to keep the blocks in place. Now that you have a beautiful border, you can utilize the rest of the area however you’d like. Be creative and have fun!